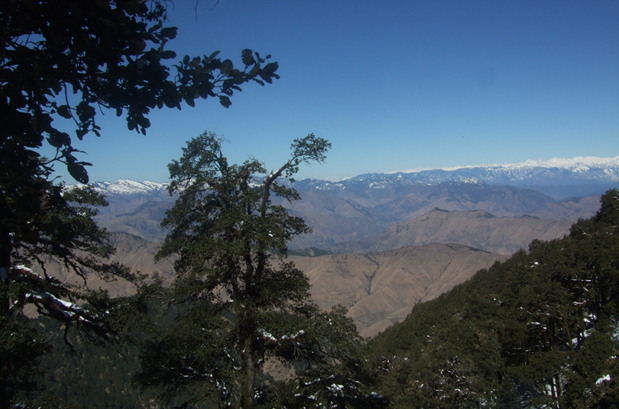 Famously called the 'Mountain of the Serpent', the Nag Tibba trek starts north east of Mussoorie, at the foothills of the Garhwal Himalayan ranges, at an altitude of 3,048 meters. The local people have been offering prayers (puja) to the Snake God (Nag Devta) at this peak which is testament to its sanctity. They believe that the Snake God protects their cattle from snake bites. 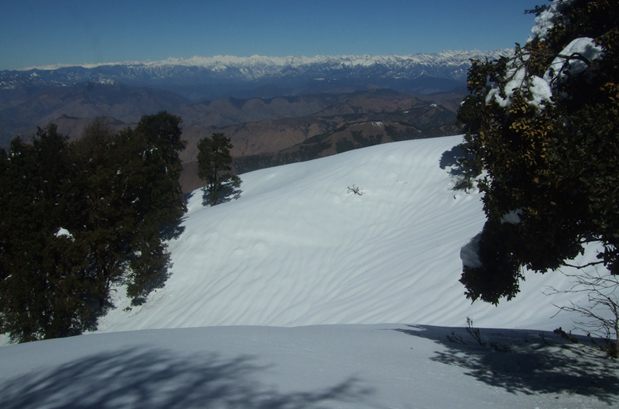 The Mussoorie-Nag Tibba trek will delight every trekker, whether amateur or veteran. 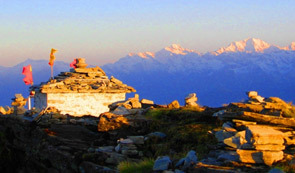 For visitors coming from Delhi, it is an idyllic and ideal weekend trek. The trek offers visitors the chance to savor a variety of enchanting experiences, from the vision of the majestic snow-capped mountains to camping under the star-lit night sky and walking in the verdant lush forests. 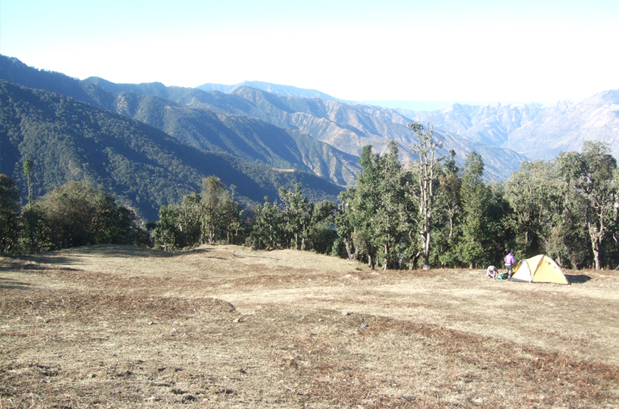 The Nag Tibba trek starts at the village of Pantwari via the hill station of Mussoorie. There are many charming little villages that surround Pantwari, such as Bandsari village, Kori village, etc. From here, the trek heads down to the villages of Devalsari and Thatyur. There is a distance of 8 kilometers from Pantwari to the peak of Nag Tibba. 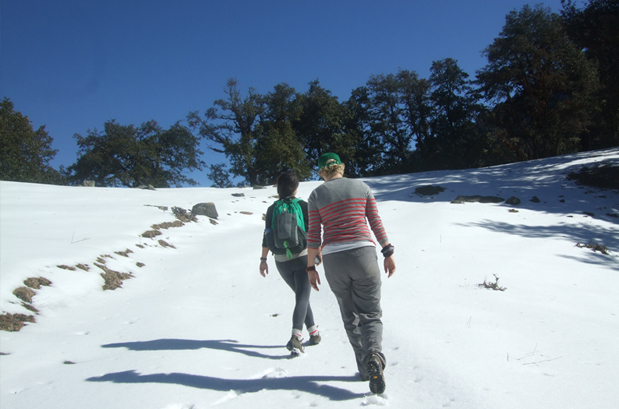 Trekkers will walk through ancient forests filled with deodar and oak teeming with exotic wildlife. This is a trek that will be a cherished memory for life for both adrenalin-seeking adventure buffs as well as the more peaceful nature-loving trekkers. Climbing the Nag Tibba peak. Jaw-dropping views of the peaks of Nanda Devi, Bunderpunch, Chaukhamba, etc. Pretty meadows, stunning views, and lovely walk through deodar, oak, and pine forests. 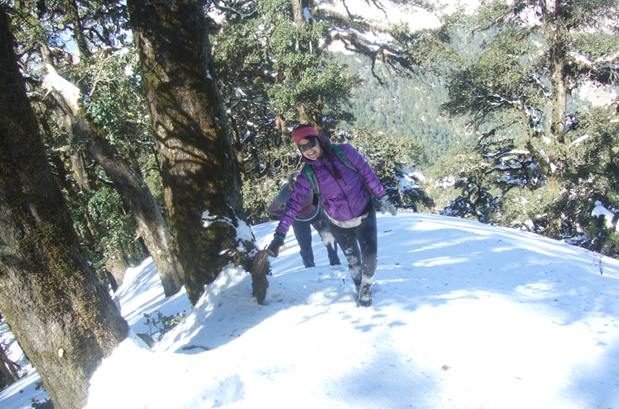 The best time to undertake the Nag Tibba Trek is in the summer months, from April to June, and the winter months, from October to December. 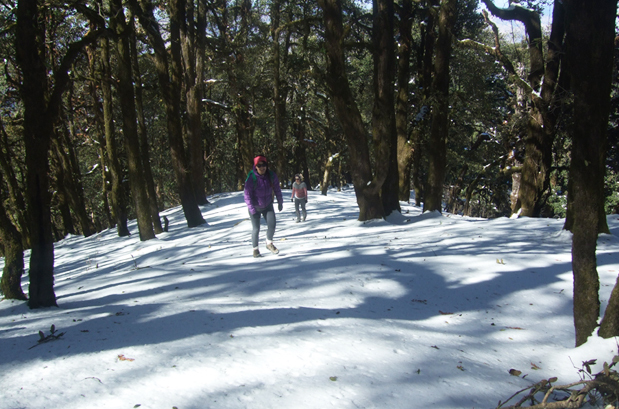 For travelers who would love to experience snow fall or snow trekking, which is in Chopta, the best months to travel to Nag Tibba would be January to March. In Summers: Summer in Nag Tibba is pleasant and salubrious. The Himalayas can be seen from the distance. There is always a cool breeze blowing to further comfort you. It would be wise to carry light woolens with you in case the night become colder. In Monsoons: The lush greenery of Nag Tibba is irresistible in the monsoons. There is no better experience than sipping on your cup of tea while gazing at the snow-capped peaks of Nag Tibba while raindrops dance all around you. There could be landslides that result in blocked roads for hours, but still the scenic beauty of Nag Tibba is worth all the trouble. Remember to carry raincoats, of course! 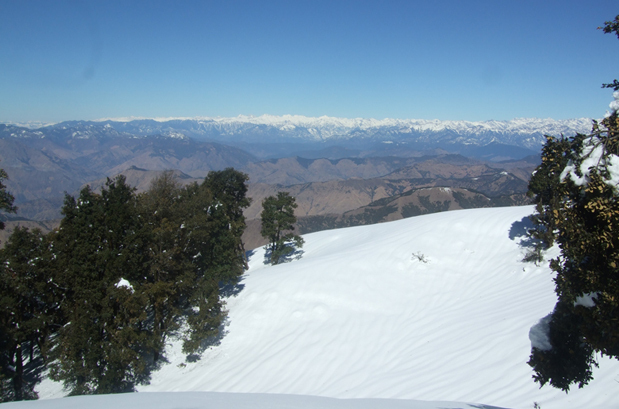 In Winters: If you are looking for serenity and peaceful solitude, you cannot go wrong with the Nag Tibba trek in winters. There will be snowfall during winters, but you can still enjoy the vision of Nag Tibba during winters that is incomparable to anything else. This is what heaven on earth will look like. Winters in Nag Tibba have freezing temperatures so remember to carry heavy woolens. Where is the Nag Tibba? 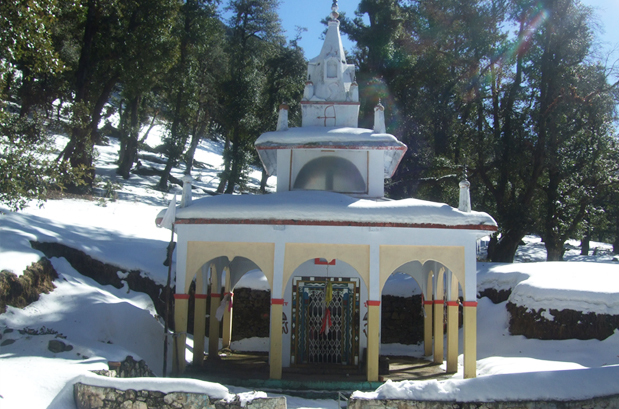 Nag Tibba lies in the foothills of the Garhwal Himalayas, which are found to the north-east of Mussoorie. The peak is at an altitude of 3048 metres. It has been long believed to be the abode of the Snake God or 'Nag Devta'. Local villagers regularly make the trek to the peak to offer their prayers to the Snake God to protect their cattle from snake bites. This place is has been frequented by trekkers and adventure enthusiasts for its panoramic beauty and high elevation. 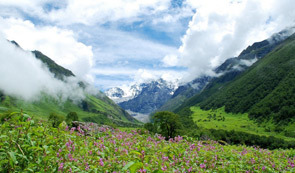 From Nag Tibba, trekkers can enjoy stunning views of various peaks, ranging from the Bandarpunchh peak, the Gangotri group of peaks, Kedarnath peak in the North, Doon Valley, and the snow peaks of Chanabang. 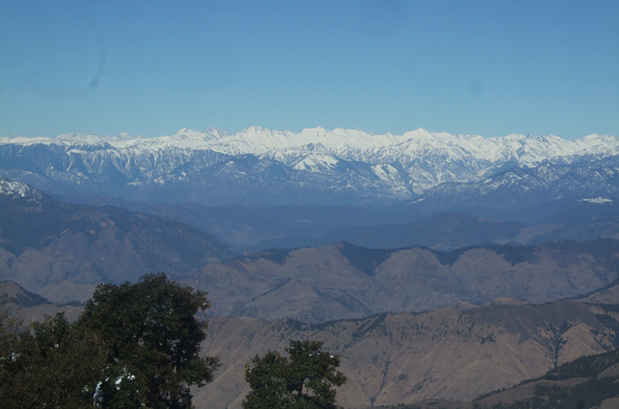 Nag Tibba is also called the Serpent's Peak. With an altitude of 9915 feet, it is the highest peak in the Garhwal Himalayas' Nag Tibba range. How to Reach Nag Tibba? By Air: The nearest airport to Mussoorie is the Jolly Grant Airport that is situated 60 kilometers from Mussoorie. This airport is connected with well metalled roads. Taxis are conveniently available from the airport to the city of Mussoorie. By Railway: Dehradun Railway station is the nearest to Mussoorie at a distance of 36 kilometers. There are two trains that run between Delhi to Dehradun and vice-versa on a daily basis. Mussoorie is located 36 kilometers from Dehradun Railway Station. The two major trains that connect Dehradun with other major cities of India are the Shatabdi Express and Mussoorie Express. By Road: Mussoorie is well connected with motorable roads. The ISBT Kashmiri Gate is the place to go to for luxury and normal buses from Mussoorie to other cities. Take the morning AC train for Dehradun. Arrival at Dehradun will be in the afternoon. On arrival, our guide will meet you. You will reach Mussoorie by road, where you will check into a hotel and relax for some time. In the evening, exploring Mall road would be a relaxing venture. Dinner and overnight stay will be at your hotel. The drive to Pantwari will start in the morning, after breakfast. From Pantwari, the trek towards Nag Tibba will start. 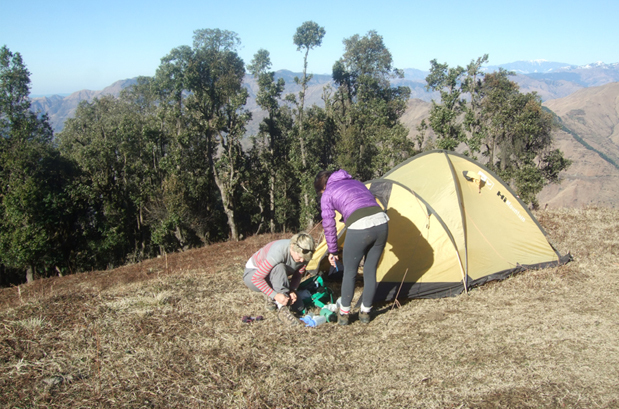 Upon arrival at Nag Tibba, camp should be set up for overnight stay. The 3 kilometer trek to Nag Tibba Peak will start after breakfast, with lunch packed already. In the late afternoon, trek back from Nag Tibba will begin for dinner and overnight stay. We trek down to Devalsari village with a packed lunch. Dinner and overnight in camp. 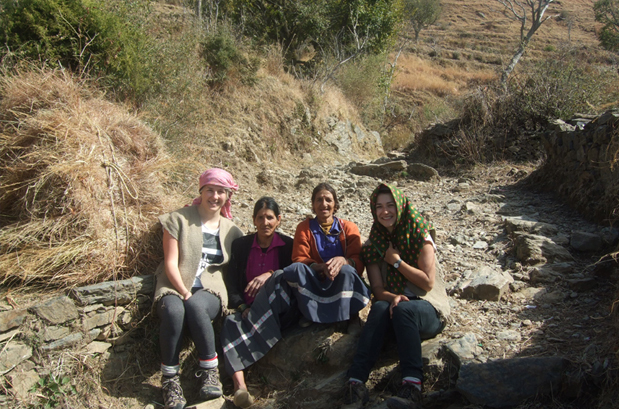 We trek 8 kilometers to reach the village of Thatyur. The drive to Dehradun starts from here. Upon arrival at Dehradun, you will be transferred to the railway station to catch the AC train for Delhi. Arrival at Delhi is by 22:45 hrs. When to book the Nag Tibba Trek?? 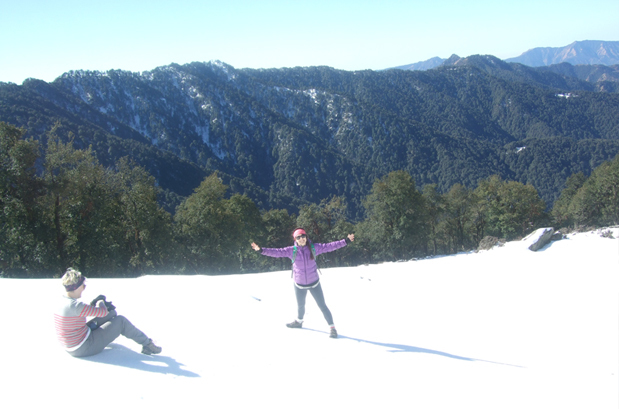 You should ideally book the Nag Tibba trekking two months in advance. This will give you sufficient time to prepare yourself for the trek. The New Delhi train station at platform no.16 is our pick up and drop point for the Chopta Chandrashila Trek. We will provide you the train ticket. You can board the train from there to Haridwar. At Haridwar, our guide will pick you up from the train station. Your tour starts from there. We keep the group size to a minimum of 4 people and maximum of 12 people with a mix of men and women. What is the minimum age required for Nag Tibba Trek? 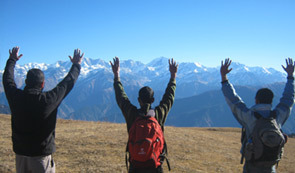 Since the Nag Tibba trek is an easy trek with a maximum altitude of 10000ft (3050m), the minimum age required is 5 years. What will be the minimum temperature during Nag Tibba Trek? In the month of April to June and September to November the temperature during the trek can be as low as 10 degree Celsius during the night. In the months of December to March, the temperature can go down to minus degree Celsius. July and August is the monsoon season. How long do we trek during the Nag Tibba Trek? 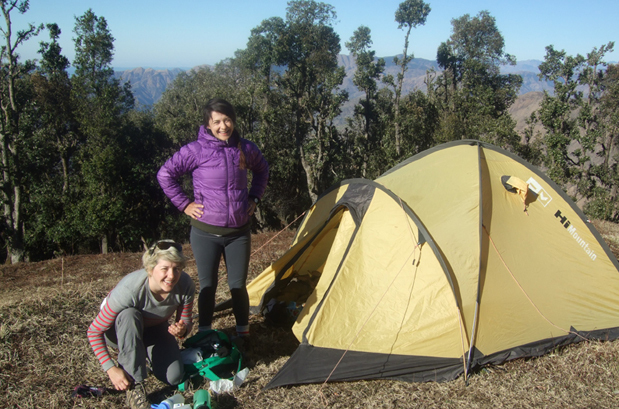 Our treks are planned in such a way that after 4 hours of trekking we will reach the next camp around lunch time. Normally we trek a distance of 7 to 10 kilometers in a day. What will happen if a trek is extended because of landslides or any other reasons?? If the trek is extended because of reasons beyond our control, then additional charges are applicable for the hotel accommodation and food. Diamox may be very helpful when there is very little time for acclimatization but we strongly recommend that you consult your doctor before taking Diamox. Safety is of paramount importance to us. We lead our groups ourselves. 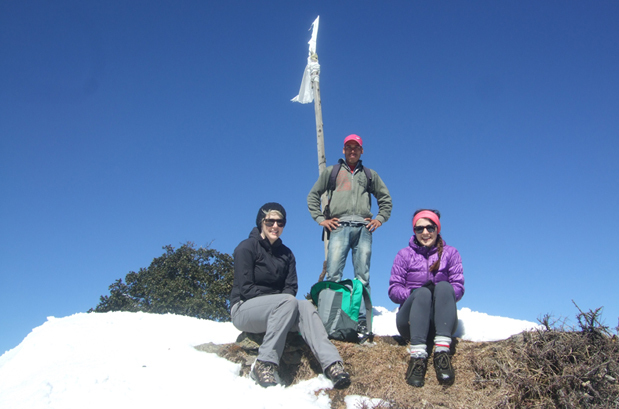 It's absolutely safe for even a single girl trekker to join our fixed departures. Good trekking shoes which have excellent ankle support are compulsory for any trek in the Himalayas. Brands such as Quechua, Adidas, and Nike offer excellent value for money. We serve nutritious and simple vegetarian food during the trek. We maintain an interesting and delicious variety of lentils, vegetables, and breakfast. At times, we are also fond of treating our trekkers in the Himalayas to exotic delicacies like pakora and other local dishes. Is it safe to drink water from a stream? Himalayan stream water is safe to drink and use for cooking but we also have water filters and chorine tablets, just in case we require them. Most of the Himalayan roads to the starting point of the Nag Tibba trek are in terrible shape so only a sturdy vehicle with high ground clearance is advisable. For this reason, we use Mahindra Bolero, Tata Sumo, Scorpio, Max, Tempo Traveller or similar vehicles for transportation. These are sturdy yet comfortable. Are your fixed departures dates truly fixed? We guarantee that even if only one trekker shows up, we will leave for the Nag Tibba trek as scheduled on that date. How do you deal with emergency situations? Our trek leaders are all certified mountaineers with excellent knowledge of first aid in the wilderness. They also carry all the necessary first aid medicines and first aid kit. At each camp they will assess your health. They will take the necessary steps to ensure your safety and health in case a rescue is required. 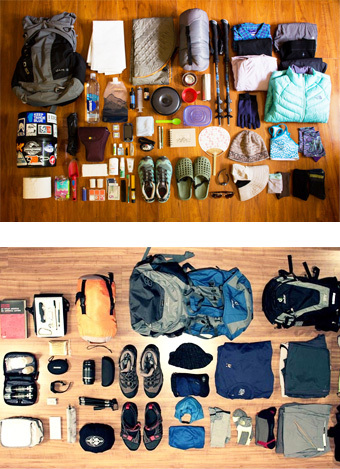 In the case of rescue, all additional costs will be borne by the trekker. All you have to do is register for the trek. We will then send you the details about the booking procedure.